Paul R. Williams and A. Quincy Jones obviously had a mutual respect for each other as they collaborated on around 20 projects after World War II (see annotated project list and bibliography below). Jones worked for Williams briefly before the war in 1939-40 and they both also worked on the Roosevelt Naval Base, Terminal Island during 1942. My Jones research at UCLA uncovered correspondence from Jones to Williams near war's end asking for advice on a residential project he was moonlighting on. The "association" between Williams and Jones worked pretty much like this: Williams got the clients and Jones did the design and construction oversight, a win-win for the duo as Jones built up a nice body of work for high-powered clients while he got established and Williams got half the fees. One of the duo's earliest post-war collaborations was for the rather unknown Coconut Island Club International proposal just off the coast of Oahu near Honolulu in 1946. I ran across the photograph of the project presentation drawing below while browsing through the Huntington Library's Maynard Parker Archives Database for Williams. The project intrigued me so I started to dig a little deeper. Los Angeles oilman Edwin W. Pauley, also the former treasurer of the National Democratic Party and Reparations Commissioner after the end of World War II, first saw Coconut Island on his way to Japan in 1945. He shortly joined with four partners to purchase the idyllic 20-acre island off the coast of Oahu in Kaneohe Bay in May, 1946 for $250,000 from the estate of the late Chris Holmes II, Santa Barbara heir to the Fleischmann Yeast fortune and Hawaii tuna-packing magnate. 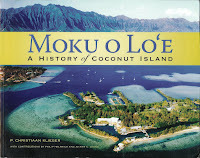 Much on Holmes's prior development of the island can be found in The Fleischmann Yeast Family and Moku o Lo'e: A History of Coconut Island. (see below). The Pauley group had a grand vision to further develop the island as a private, membership only resort. (See "Pacific Island Turned Into South Sea Paradise", Los Angeles Times, Feb 17, 1947, p. 9). The article with renderings describes the purchase and plans to spend an additional $500,000 to create a "combination millionaire's playground and crossroads hostel for high level international citizens." The article goes on to state that there will soon be thirty members with as many as 150 to follow. The consortium commissioned Jones and Williams in 1946 to prepare plans for 26 suites or cottages, tennis courts, a Pearl Harbor Yacht Club and other recreational and related facilities and remodeling the Holmes mansion and barracks and other facilities erected by the Army for a rest camp for combat officers. Jones, a Naval officer based in the Hawaiian Islands during the war, was a natural to head up the design and made the original exploratory trips to Hawaii and prepared the below presentation renderings and a model which was photographed by Julius Shulman. "The designs were the height of modernity, with the fixtures and furniture reflecting the "jungle deco" style all the rage during the era. "(See Klieger, p. 135). 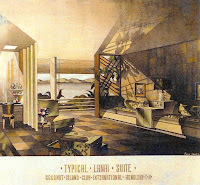 The presentation renderings at the top and below were undoubtedly used in marketing the resort to prospective members. Renderings from "Moku o Lo'e" pp. 134-5 and the Pauley Collection. The resort club failed to gain momentum mainly due to the price of membership. By the time the idea was dropped, $500,000 in improvements had already been made under the direction of the joint venture local supervising architect Cyril H. Lemmon of Belt, Lemmon & Lowe. (Klieger, p. 138). The partners then considered a plan to develop the island into a modern, luxurious 117 room hotel. That idea was finally realized as a greatly scaled-back Coconut Island Hotel built at a cost of $20,000 with accommodations for 32 guests opened in February 1950. The venture was short-lived and closed by the end of 1951. The five original investors spent their leisure time on Coconut Island for years and entertained various development ideas but nothing concrete came to pass. Pauley, who evolved into the island's chief steward, hosted many famous people during his ownership including Harry Truman (one month stay in 1953), Lyndon B. Johnson, Red Skelton, Richard Nixon, and Ronald Reagan. In an interesting sidebar, in 1948 Pauley had a desire to make more productive year-round use of the island and decided to donate portion of the coral reef-surrounded paradise to the University of Hawaii to be used as a marine research facility. (See Klieger, p. 215, and "Coconut Island Now a Haven for Scientists", Los Angeles Times, Nov 19, 1948, p. 5). The following link provides an update on the status of the Hawaii Institute of Marine Biology. (Note: University of California Regent Pauley also donated $5,000,000 towards construction of the Pauley Pavilion at UCLA. See the following link to view a list of Notable Past Regents including both Pauley and Coconut Island partner Samuel Mosher, President of Signal Oil). Williams' and Jones's involvement with Pauley (and Mosher) on this project paid handsome dividends down the road for both of them. Williams was chosen by the Regents to be executive architect for Botany Building on UCLA's Westwood campus. (See "New UCLA Botanical Structure Started", Los Angeles Times, May 4, 1958, p. VI-12). Jones (with partner Frederick E. Emmons) was chosen in the early 1960s to design UCLA's AIA award-winning Charles R. Young Research Library where his papers are now fittingly archived. (See $5 Million Research Library at UCLA Open", Los Angeles Times, Nov 22, 1964, p. IX-19 and Finding Aid for the A. Quincy Jones Papers, 1942-1979). Ironically, Jones was also later to become Dean of the USC School of Architecture. I would appreciate any comments or feedback regarding this post and any additional information on the Jones-Williams relationship. 1. Roosevelt Naval Base, Terminal Island (1942). (Jones worked in the offices of Paul R. Williams during the pre-War years of 1939-40. He was then employed by Allied Engineers from 1940-42 where he and Williams again crossed paths on this project. Jones was involved with general layout of the base while the joint venture of Paul R. Williams, Adrian Wilson and Donald R. Warren designed the buildings. (See "A. Quincy Jones" by Cory Buckner, Phaidon, 2002, p. 10). 2. 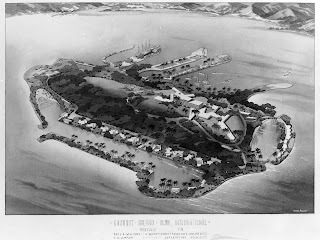 Coconut Island Club International Resort, Honolulu, Hawaii for a consortium headed by oilman Edwin W. Pauley (unbuilt-1946-7). 3. Town and Country Center in Palm Springs (permit-1946, completion-1948). 4. Palm Springs Tennis Club (1947). 5. Del Rio development in Tuscon, a subdivision of 3,000 homes for developer Del Webb (1948). 6. Pueblo Gardens housing development (700 home planned community), for Del Webb, Tucson, AZ (1948). 7. Jacobson House in Phoenix, AZ (1949). (Jacobson was a 25% partner in the Del Webb operation). 8. Laguna Beach and Tennis Club, Laguna Beach, California (1950). 1. Masterful planning and execution mark Palm Springs Tennis Club expansion. Society of Architectural Historians Southern California Chapter News, 1947(May 23): p. 8-13. Designed by A. Quincy Jones and Paul R. Williams. Includes Julius Shulman photos and floor plans. 2. Pacific Island Turned Into South Sea Paradise. Los Angeles Times, 1947(Feb 16): p. 9. 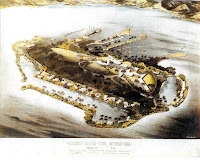 Discusses the Coconut Island Club International Resort on a 20 acre island offshore from Honolulu with preliminary design by Paul R. Williams and A. Quincy Jones for a consortium headed by oilman Edwin Pailey. Includes rendering and photo of the model. 3. Palm Springs Tennis Club, Palm Springs, California, Paul R. Williams, Architect, A. Quincy Jones, Associate Architect. Architectural Digest, 1947. XI(4): p. 24-28. Includes 10 Julius Shulman photos. 4. Masterful planning and execution mark palm springs tennis club expansion. Southwest Builder & Contractor, 1947(May 23): p. 7-13. Describes the Palm Springs Tennis Club designed by Paul R. Williams and A. Quincy Jones, Architects. 5. Tennis Club, Palm Springs, California by A. Quincy Jones, A.I.A. and Paul R. Williams, A.I.A. Arts & Architecture, 1947. 64(3, Apr): p. 22-23. Includes 9 Julius Shulman photos. 6. Tennis Club, Palm Springs, California, Paul R. Williams and A. Quincy Jones, Architects Progressive Architecture, 1947. XXVIII(11, Nov): p. 53-57. 7. Tennis Club, Palm Springs, California, Paul R. Williams and A. Quincy Jones, Architects Progressive Architecture, 1947. XXVIII(11, Nov): p. 53-57. 8. Coconut Island Now a Haven for Scientists. Los Angeles Times, 1948(Nov 19): p. 5. Discusses University of California Regent Edwin W. Pauley's change of plans to develop Coconut Island into a resort for "tired millionaires." He has donated the island to the University of California and the University of Hawaii for marine research purposes and donated additional funds to refurbish the existing buildings. 9. 3,000 Unit Development, Tucson, Arizona. Architectural Forum, 1949. 90(Apr): p. 140-142. 10. [Palm Springs Tennis Club]. 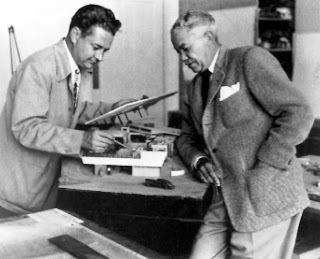 Architect and Engineer, 1950(Feb): p. 16-17. Paul R. Williams and A. Quincy Jones, Architects. Includes photos of the development designed by A. Quincy Jones in association with Paul R. Williams. 13. Redeveloped With a Flair: Town & Country Center, Palm Springs, California, A. Quincy Jones and Paul R. Williams, Architects. Architectural Record, 1950. 107(2, Feb): p. 94-97. Includes 6 Julius Shulman photos. 14. Town and Country Restaurant and Commercial Development in Palm Springs. Progressive Architecture, 1950(Feb). Includes 6 Julius Shulman photos of the development designed by A. Quincy Jones in association with Paul R. Williams. 15. The World Famous Tennis Club. Palm Springs Villager, 1951. VI(4, Nov): p. 15. Includes a Julius Shulman photo of the Palm Springs Tennis Club designed by Paul Williams and A. Quincy Jones. 16. A. Quincy Jones: The Oneness of Architecture. Process Architecture, 1983(41): p. Entire Issue. Includes Julius Shulman photos of the Smalley House in Beverly Hills on pp. 35, 40, and 43; Bel Air Garden Apartments on p. 72t; Town and Country Center and Palm Springs Tennis Club both on p. 74 (with Paul R. Williams); Griffith Park Girls Camp on p. 75; St. Matthew's Church in Pacific Palisades on p. 77; Brastoff Ceramics Factory, L.A. on p. 77t; Nordinger Residence #2, Bel Air on p. 79; Emmons Residence, Pacific Palisades on p. 81; University Research Library, UCLA on p. 86bl and 87tr; Graduate Research Library, University of Hawaii on p. 97; Mutual Housing Association, Crestwood Hills on p. 108 and 109cr & b; Southdown Estates, Pacific Palisades on p. 119bl & r; A. Quincy Jones Residence #1, L.A. p. 122bl and r; A. Quincy Jones House #2, L.A. p. 123-125. 17. Town and Country Restaurant, Palm Springs by A. Quincy Jones and Paul R. Williams. Process Architecture, 1983. 41(Oct). Includes Julius Shulman photos of the Palm Springs Tennis Club (with A. Quincy Jones) on pp. 118-121 (6), the Desi Arnaz & Lucille Ball Residence in Palm Springs on pp. 184-185 (3), Paul Williams in front of the Theme Building at LAX (not designed by Williams) on p. 194, and the Competition Motors Building in Culver City on p. 202. 19. Buckner, C., A. Quincy Jones. 2002, New York: Phaidon. 272. Includes a reference to Jones's projects with Paul R. Williams and 3 photos of their Jacobsen House in Phoenix, 4 Julius Shulman photos of their Palm Springs Tennis Club and 4 Shulman photos of their Town and Country Restaurant also in Palm Springs. 20. Gebhard, D. and H. v. Breton, Los Angeles in the Thirties: 1931-1941. California Architecture and Architects, Number 7. 1989, Los Angeles: Hennessey & Ingalls. 185. Includes references to Williams on pp. 5 (grouped with revival architects), 36 (MCA Bldg. ), 52-53 (rendering of a retail store building in Beverly Hills), 68-69 (photo of Music Corp. of America Building in Beverly Hills), 95 (garden apts. ), 96 (ref. to French Cottage for the California House and Garden Exhibition), 97 (Williamsburg Lane, Rolling Hills, Tyrone Power House, Jay Paley House), 102 (mentor to A. Quincy Jones), 103 (furniture design) and 117 (photos of the Tyrone Power House and the French House at the California House and Garden Exhibition). 21. Gebhard, D. and R. Winter, A Guide to Architecture in Los Angeles & Southern California. 1977, Santa Barbara, CA: Peregrine Smith. Includes references to Williams' Williamsbrg Colonial Houses in Rolling Hills, 1940 Music Corporation of America s/o Burton Way betw. Crescent and Rexford Drives, 1936-7 Saks Fifth Avenue Building at 9600 Wilshire Blvd., 1941-2 Pueblo del Rio Housing at 1801 E. 53rd St. in Vernon, and Palm Springs Tennis Club (with A. Quincy Jones). 22. Hess, A. and A. Danish, Palm Springs Weekend. 2001, San Francisco: Chronicle. 180. Includes Julius Shulman photos of the Frank Sinatra House by E. Stewart Williams, Ocotillo Lodge by Palmer & Krisel, Albert Frey Houses I & II, Villa Hermosa by Frey, the John Porter Clark House by Clark & Frey, a Palmer & Krisel designed home, Richard Neutra's Kaufmann House, William Cody's Del Marcos Hotel, Paul Williams' Lucille Ball and Desi Arnaz House, William Cody's El Dorado Country Club, E. Stewart Williams' Coachella Valley Savings & Loan, Wurdeman & Becket's Bullock's Palm Springs, Palm Springs Tennis Club and Town & Country Center by Paul Williams and A. Quincy Jones, Robinson's Department Store by Pereira & Luckman, John Lautner's Desert Hot Springs Motel, and Frederick Monhoff's Biltmore Hotel. 23. Imber, R., Palm Springs Town & Country Center: Yesterday, Today and Tomorrow. Palm Springs Modernism Week 2007, 2007: p. 42-45. Includes 3 Julius Shulman photos of this complex designed by A. Quincy Jones and Paul R. Williams. 24. Rapaport, B. K., ed. Vital Forms: American Art and Design in the Atomic Age, 1940-1960. 2001, Abrams: New York. 246. Includes a Julius Shulman photo of the bar at the Palm Springs Tennis Club designed by A. Quincy Jones and Paul Williams. 25. Serraino, P. and J. Shulman, Modernism Rediscovered. 2000, Koln: Taschen. 575. Includes a brief bio and Shulman photos of the Town and Country Restaurant and Palm Springs Tennis Club by Paul R. Williams and A. Quincy Jones. 26. Shulman, J., Julius Shulman: Palm Springs [exhibition]. Palm Springs Art Museum, 101 Museum Drive Palm Springs, CA 92262-5659, 2008(February 15). The exhibition will consist of approximately 150 photographs that include locations by renowned architects including Richard Neutra, A. Quincy Jones, Paul Williams, John Lautner, E. Stewart Williams, Albert Frey, William Cody, Donald Wexler, and Palmer & Krisel, among others. Additionally, renderings and models by these architects will highlight their unique contributions to the revered architectural landscape. The photos are compiled from the holdings of the Getty Museum and Palm Springs Art Museum, as well as private collections. 27. Stern, M. and A. Hess, Julius Shulman: Palm Springs Deluxe Edition. 2008, New York: Rizzoli. Includes a section describing Williams' Palm Springs work and 4 photos of the Lucille Ball and Desi Arnaz House, 3 of the El Mirador Hotel additions, 3 of the Town and Country Center and 5 of the Palm Springs Tennis Club, the latter two projects being joint ventures with A. Quincy Jones. Also includes a photo of Jones and Williams together.